The “Switch Solutions for Systems with Low PIM Requirements” addition to the white paper page explains that the effect of nonlinearities is becoming more prominent in signals with higher amplitude, which causes intermodulation signals to interfere with the desired system behavior and introduces unwanted results. In order to avoid this and reduce intermodulation in passive devices, low PIM designs are necessary. Dow-Key Microwave Corporation has invested in R&D for new RF switch products and was excited to introduce to the market a family of special RF switches which meet the very stringent and low intermodulation requirements imposed by today’s test and communication industries. The launch of the “Low PIM family” has provided capability for a much improved PIM performance (below-160 dBc) and is available as an option to users with low PIM needs. The white paper focuses on defining Passive Intermodulation, and the concerns around PIM. It also discussed the cause of PIM in both general terms and in switches while also providing a solution for systems with low PIM requirements. For more information regarding this or other Dow-Key Microwave white papers, contact Dow-Key Technical Staff. Dow-Key commits to deliver innovative switching solutions for the Test and Measurement market. The extensive qualification, along with the refinement of our manufacturing process for our latest Low Passive Intermodulation (PIM) switches, has enabled Dow-Key to build a solid foundation focused on the cutting edge of technology, and in areas directly in line with our customers’ needs. Dow-Key Microwave Corporation is an American company that is headquartered in Ventura, California. All product design, assembly, and testing is done within their 36,000 square-foot, state-of-the-art facility, and the company is world renowned for producing precision products that are made for space, commercial, and military use. 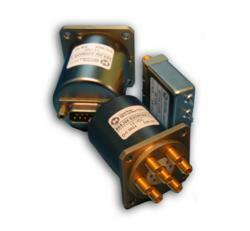 Dow-Key, founded in 1945, is also the oldest continually operational RF Relay Manufacturer in the United States. Contact us for more products quote and information.